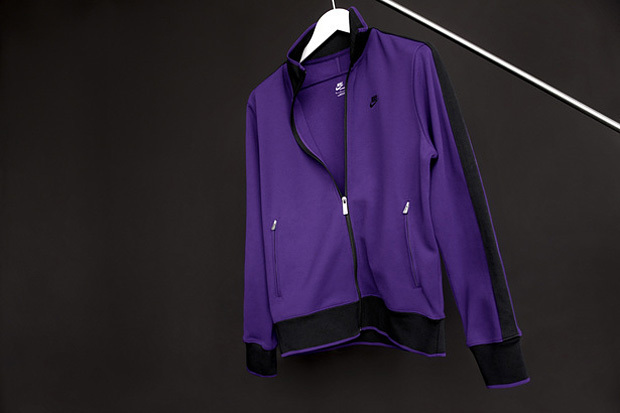 The Spring/Summer 2010 product fuses innovation and sport heritage to enable Nike Sportswear to create new expressions of sport style. Since its inception, Nike Sportswear has made a virtue of the ethos of evolution, crafting iconic products with innovative materials and defining designs. Nike Sportswear pushes the invisible wall between where the athlete stops playing and starts living. The Nike Sportswear Icon series will see two newly remixed classics: the N98 Track Jacket and the Grand Slam Polo take center stage. The N98 Track Jacket was introduced in 1998 and was worn by teams like the Brazilian national football team. 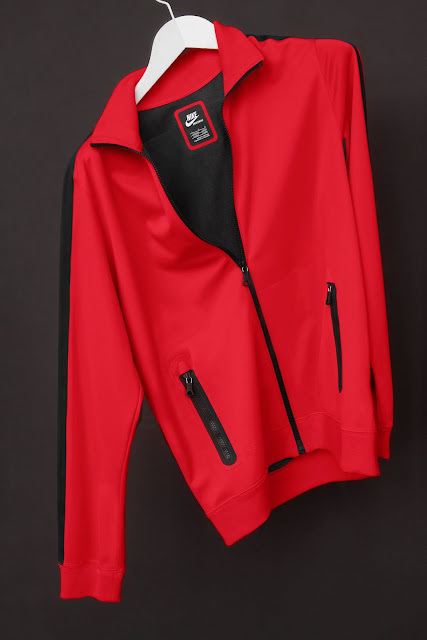 Its 2010 redesign features enhancements such as a flat knit rib collar and cuffs, bonded seams, and double-welded, zippered pockets. The Grand Slam Polo traces its heritage from the tennis court to the sidelines of sport stadiums around the world. 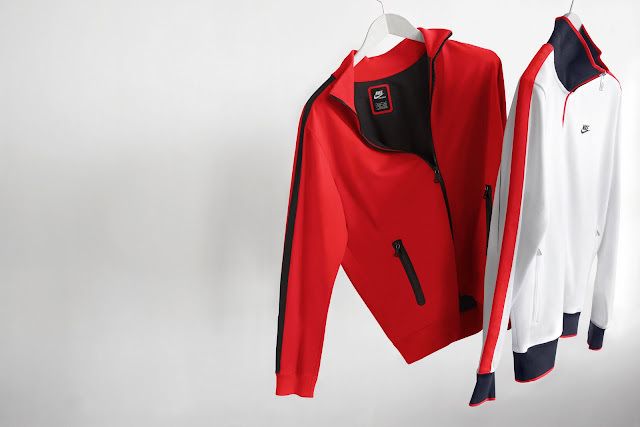 Its new incarnation has been crafted to keep the wearer cool and dry with details like a subtle vented collar, the flat-knit fabric for the interior and even the size of buttons. 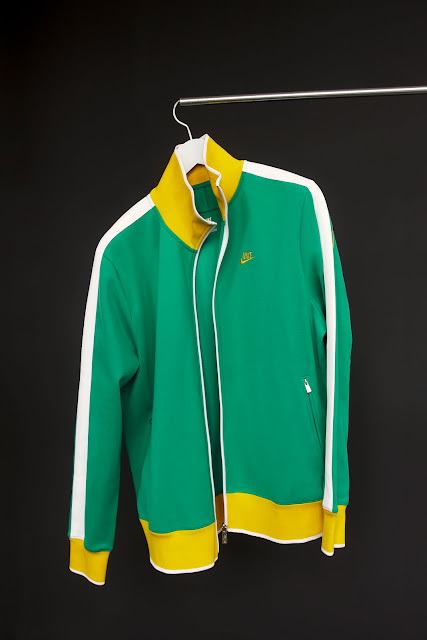 FROM MEDAL STANDS TO THE STREET Inspired by a match that moved the world, the N98 Track Jacket stands for “National 1998,” notably paying tribute to the 1998 Brazilian National Team. The N98 design takes off from the debut Brazilian team kit by Nike, tapping the classic zip-front track jacket’s deep heritage as a true icon of sport style. 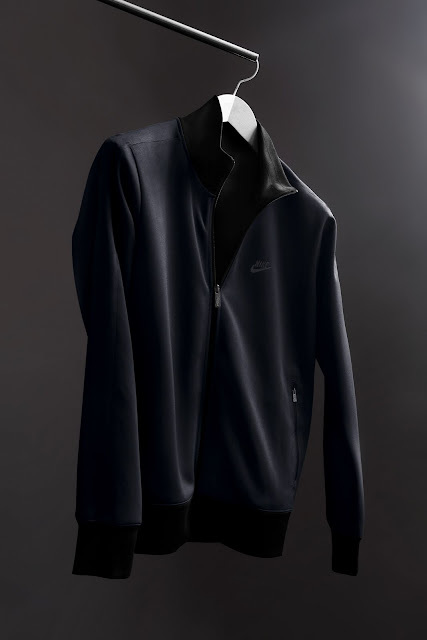 The Nike Sportswear team has made it a signature piece for spring, integrating it throughout the line, including creating a premium version for NSW Collection with Gore Windstopper fabric, laser-cut bonded RiRi zippers and reflective film across the back piping.